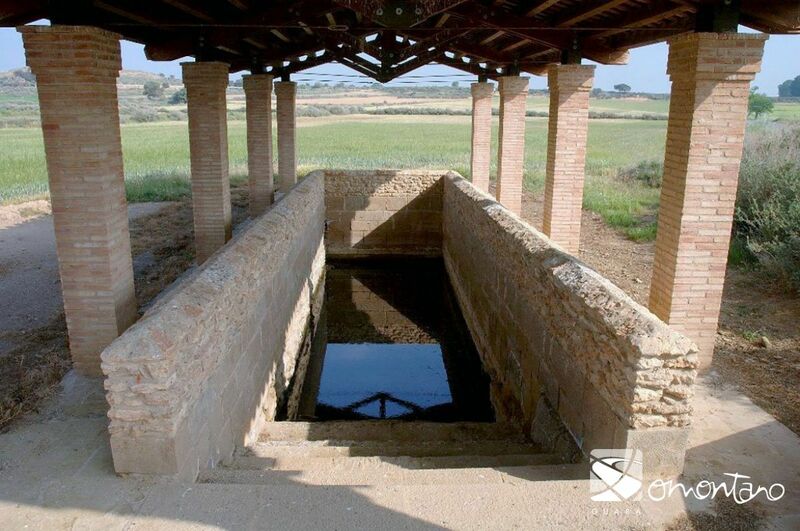 Faced with a lack of surface springs, the people that inhabited the dry lands of Somontano devised an ingenious and comfortable way to reach water under the ground. 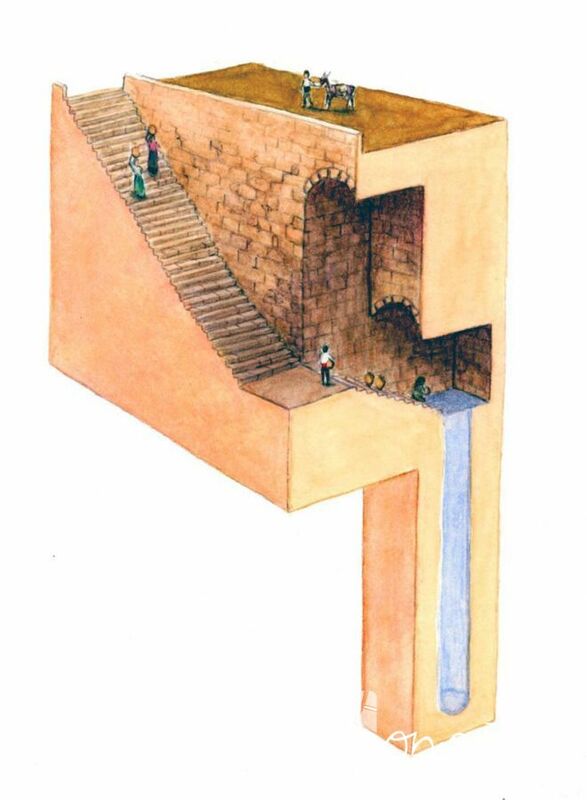 These are the spring wells, huge structures made up of a ramp with a partly covered staircase, which led down to a vaulted chamber with a water supply. 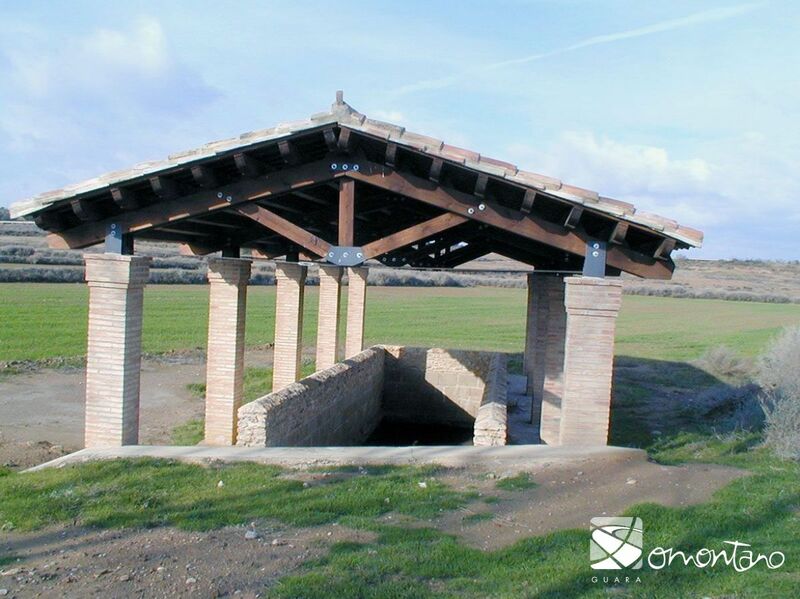 The spring well of Monesma is know as the “Pozo de la Cabañera” (the well of the livestock track.) The many different flocks and herds that used the nearby livestock track would have stopped here to drink from a trough, which must have taken great effort to fill and many trips up and down the stairs. The soft water from this well was not suitable for drinking. 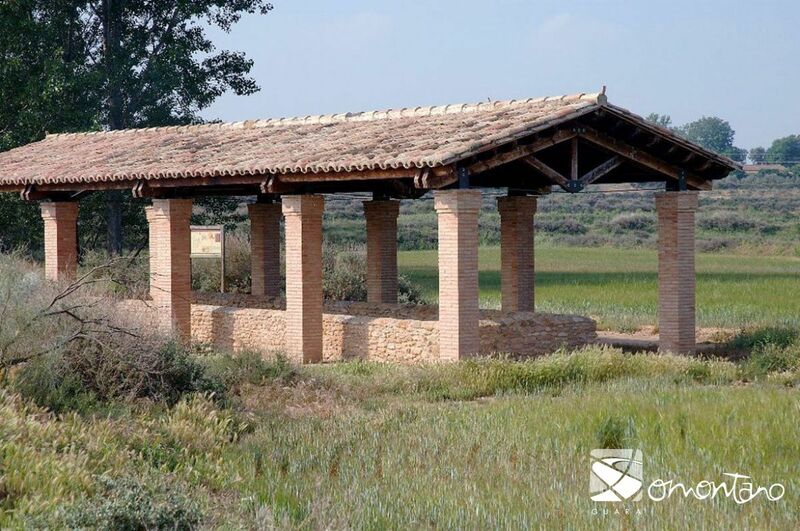 However, thanks to three galleries excavated from the rock that filtered the water, it flowed well. Next to the well there were a number of stone sinks used for washing clothes. To fill them was hard work and many of the older ladies who washed their clothes there would need the help of the village’s young men.